I used to think that social media was current enough. You have the ability to tweet or post video updates as “STORIES” on multiple social platforms from Snapchat to Instagram and Facebook, but these ’edits’ of the day are just teasers and the social media audience are primed for a fuller experience immersion; the live stream. Live stream is a tool that makes the amateur even less amateur and puts even more power into the hands of the influencer, giving them the ability to host their own live broadcasts on their platforms, to rival those of TV networks. As with most things at the beginning, there is still a long way to go. The plethora of live streaming options, coupled with understandably little will for collaboration between the various social media platforms, makes streaming in the main, a sporadic and disconnected event. Not to mention the inconvenience for those looking to capture live content on the go. During Fashion Weeks in particular a variety of devices are on display; the ‘selfie-stick’ has spawned in to a multi-device carrying implement, that I’ve nicknamed ‘Poseidon’. This trident-looking stick enables users to stream to multiple platforms at the same time by holding multiple mobile devices—one mobile device for each live streaming platform. Sounds tedious, and believe me, it certainly looks it—but needs must. That’s until the MEVO arrived on the scene. 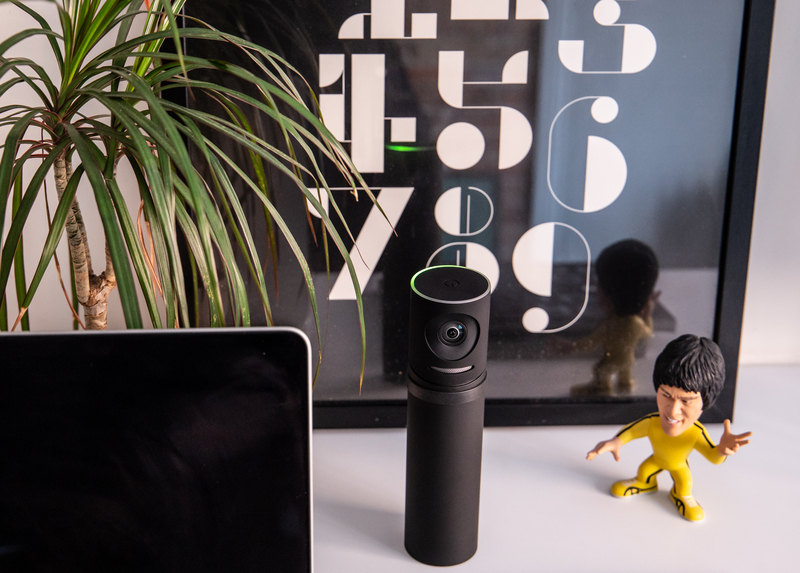 My comfort zone is primarily in the realm of post produced videos and social content, of which photography, but when I came across the MEVO camera, I had to reconsider. 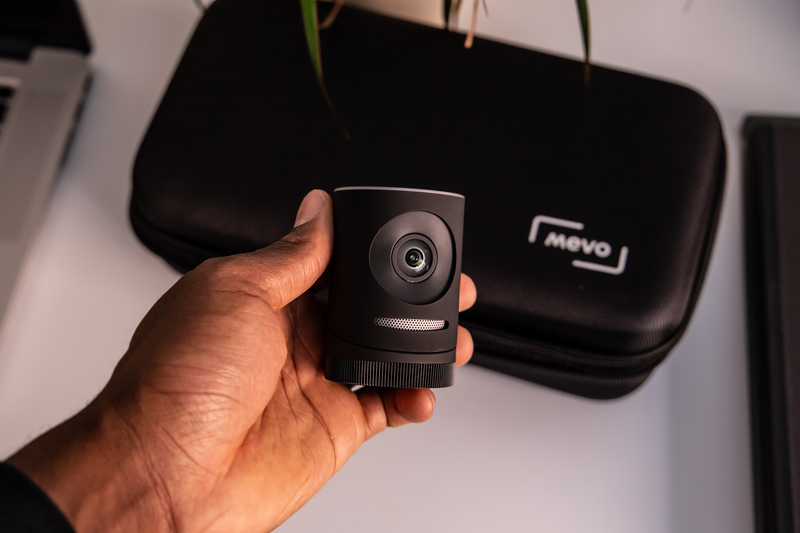 I’ve always been one for using specialist devices for specific purposes, as I want the best outcome, so in that the MEVO camera instantly played into my hands. The ease and professionalism with which it enabled you to create a live -stream suddenly made the prospect all the more appealing to me. 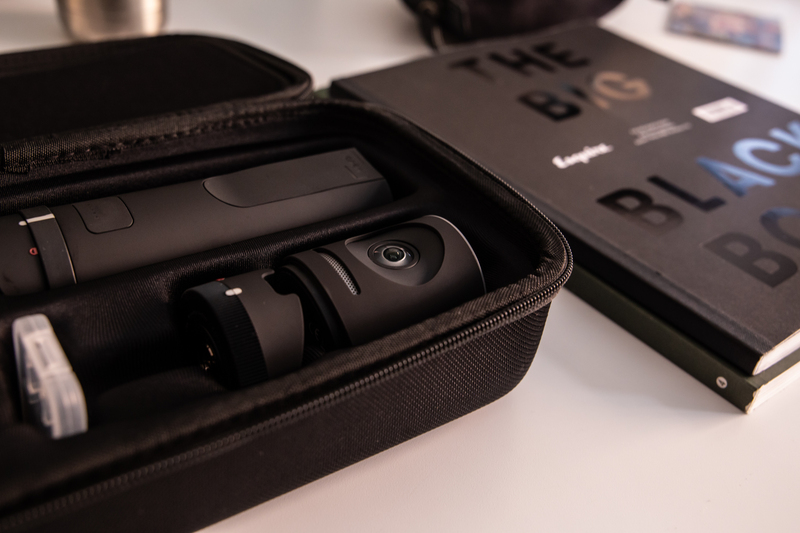 This is a device that is designed specifically for live streaming and that can—wait for it— stream to multiple platforms at once. I’ll repeat that; the MEVO can stream to multiple platforms at once meaning you can go live on Periscope, YouTube and Facebook all at the same time. Nice. 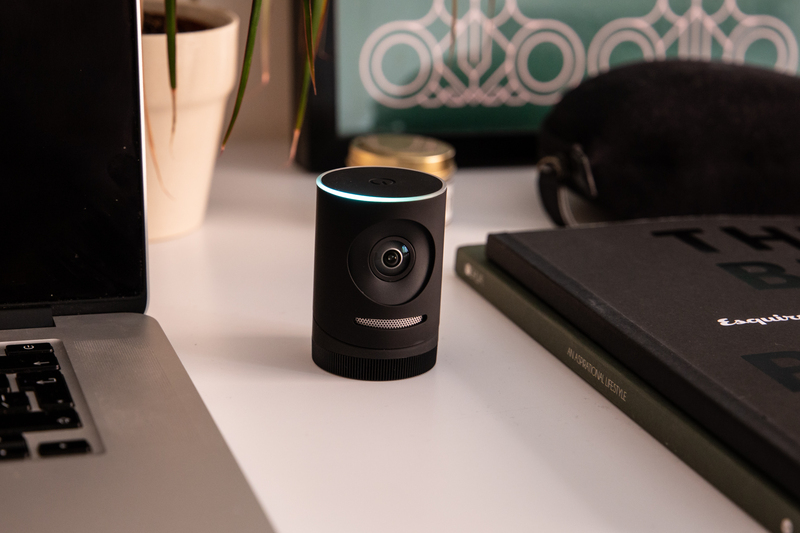 While the MEVO’s size is meagre, reminiscent of a small webcam, to suggest it was the perfect solution for those on the go would be remiss. 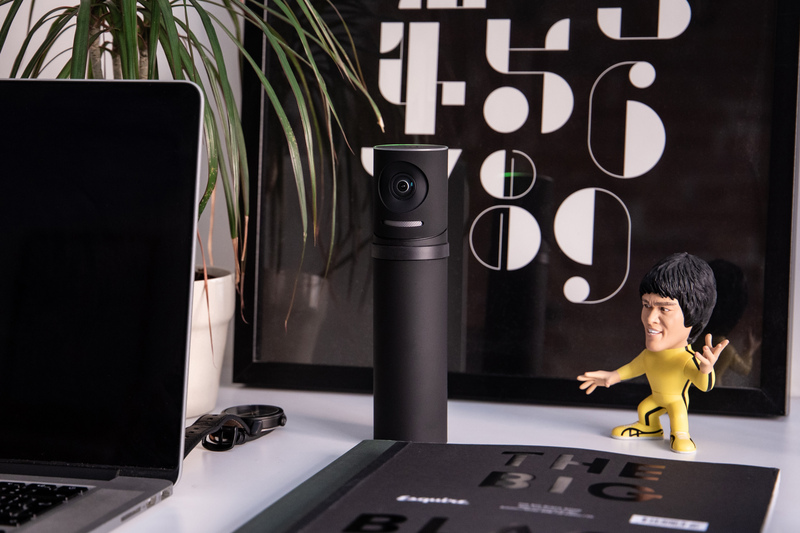 It does have the ability to connect to Wi-Fi directly and could be tethered via your mobile device to maintain connection on the go, but to use it in this manner wouldn’t play to its strengths, which are the ability to edit and compose broadcasts mid-stream. 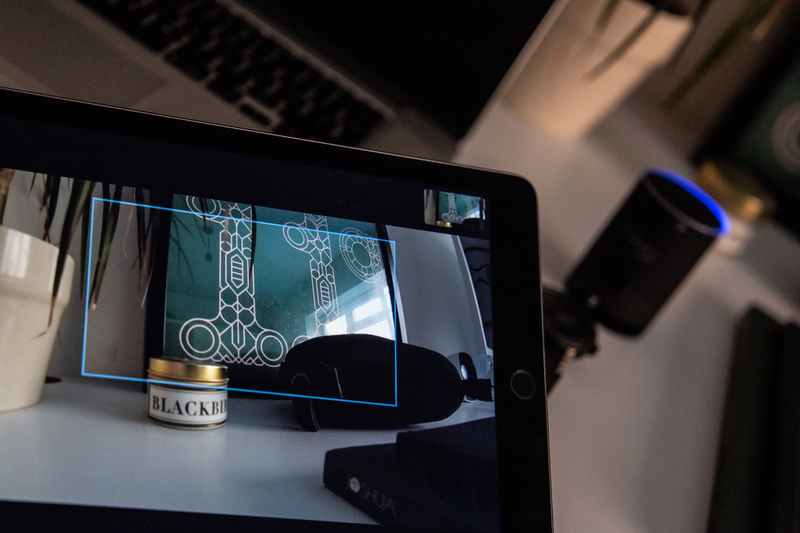 In situ is where the MEVO comes into its own, as does its mobile studio capabilities, as you are then able to composite your shot, and either use the MEVO App’s clever ‘Auto Follow’ feature or hand over to someone else to compose the shots live in the MEVO Studio app. The aforementioned ‘Auto Follow’ feature allows the MEVO to track your movements and automatically pan and zoom accord to some pre-set parameters. One really intelligent feature, highlighting the depth of thought gone into the MEVO’s design, is the Alexa-esque coloured ring set on top, which glows red in sections, to let you know what zoom mode is currently being used in the broadcast, so you can adapt accordingly. For example, if the MEVO is pans to a closeup shot, only a narrow red section of the ring would be lit above the lens. As it the zoom pans further out, more and more of the ring turns red until the entire front is ring glows with a red hue, informing you that the camera has fully panned out. Nice. It’s just one of many features that highlight the benefits of using specialised equipment— and the levels that can be attained with that approach. 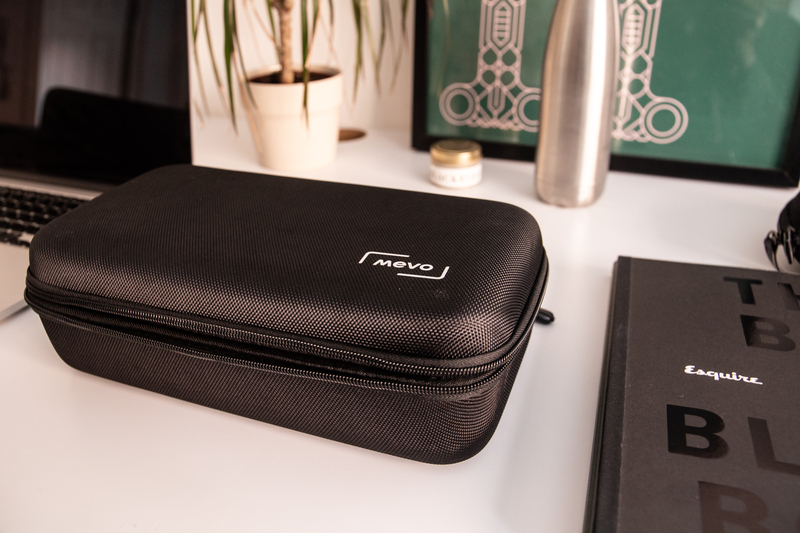 The MEVO also has a desktop studio option, which runs from your laptop, should that be your preferred mode of working. To get the best out of the MEVO it’s best to film in a well-lit environment or with dedicated lighting as although is does possess a full suite of advanced photographic features, such as adjustable ISO, exposure settings and shutter speeds, the zoom features require a lot of light for the quality to remain noise-free. Although you can record in 4K quality for later use, currently you are unable to stream in 4K or use the editing features but hopefully this will be a feature added with the firmware updates, as the product develops. As far as I see it, the two real options for live streaming on the MEVO currently are 1080p HD or 720p; you can go lower quality, but I wouldn’t recommend it, as the quality of most screens these days would render the broadcast a snowstorm. 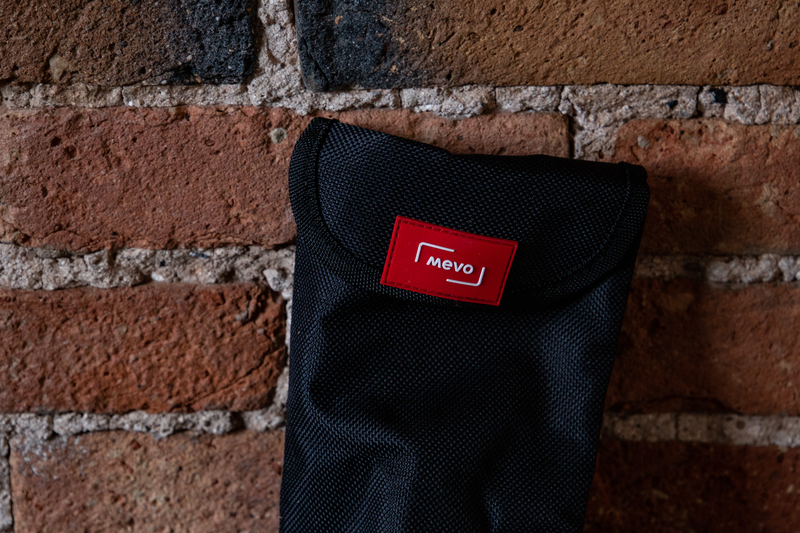 This is where the aptly named MEVO Boost comes in handy, not only is it an extra power source, you can connect an ethernet cable directly to the camera to ensure seamless streaming of the highest quality; again, another reason why the MEVO is better used in situ. Video platform Vimeo provide the streaming power through their Livestream platform and also add another dimension of on-the-go studio production, with the ability to add names, logos and titles to below the user’s mid-broadcast. 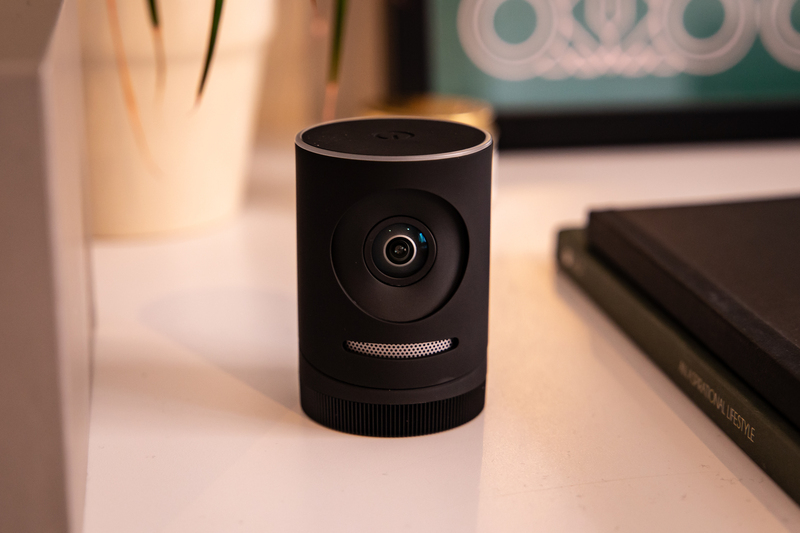 MEVO is not for everyone, but for those who live stream on a regular basis it is a must. 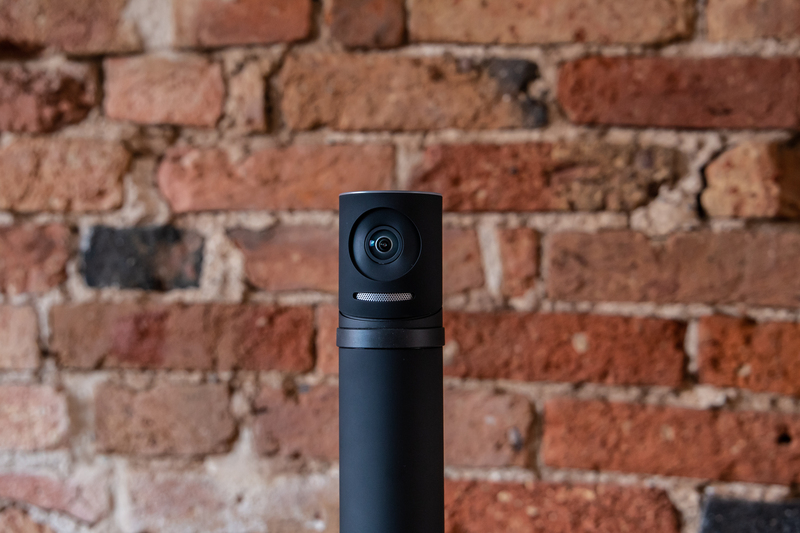 They’ve already improved on their original MEVO camera with the updated MEVO Plus and with a whole host of software updates in the horizon, expect many new features to land over the coming months. 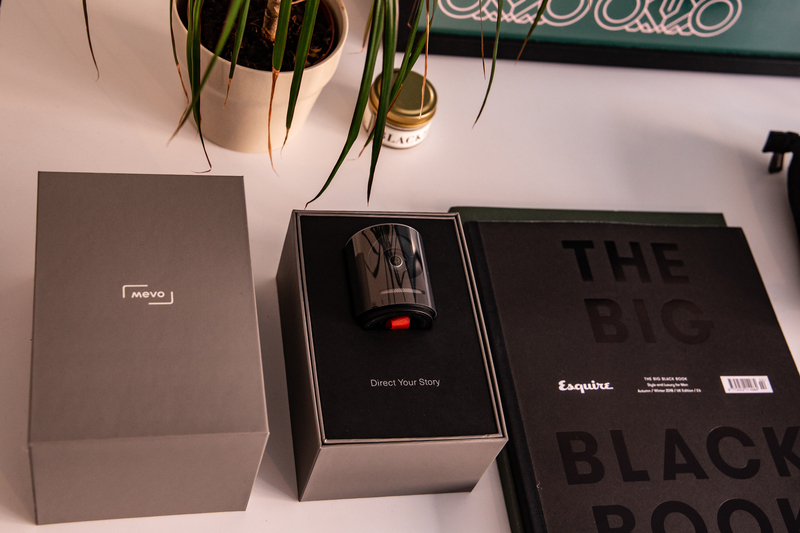 Brace yourselves for a live streaming revolution, the cost of having your own broadcasting studio just got a whole lot cheaper.